Well, spring must be coming. 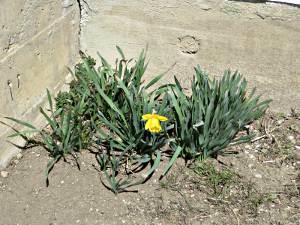 This lone daffodil is sure looking for it! If you want to follow them in a still later spring, visit here and click the little green arrow thingie.